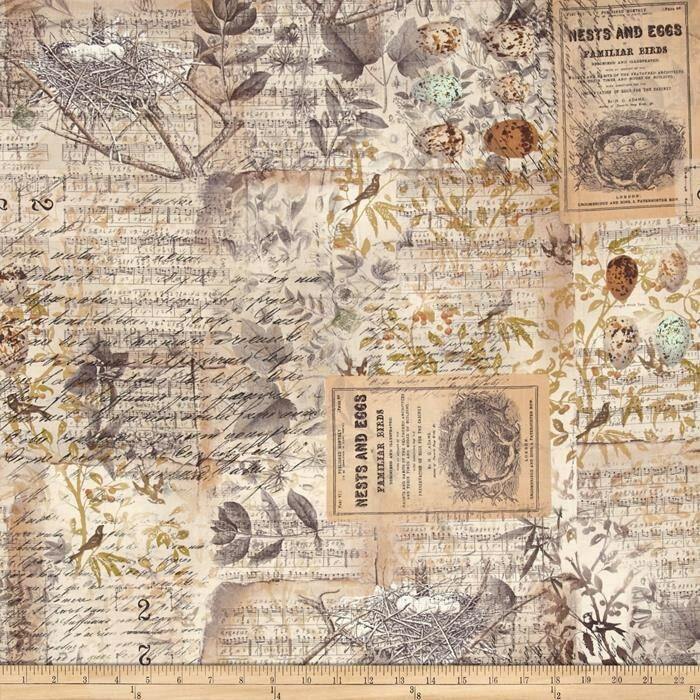 This NEW Wallflower - Entomology - Multi by Tim Holtz fabric is new and cut right off the bolt. It is sold by the yard increments, If you buy more than one it will be a continuous piece. The new Wallflower fabric collection is a blend of colorful botanicals, vintage typography, treasured ephemera, and nostalgic wallpaper patterns. The worn layers and shabby color palette in the designs fuse together and create a menagerie of imagination to inspire your creativity to take flight. Tim Holtz fabrics retail for $14.99 and up now in quilt stores.